Hi everyone! Corri here today sharing a weekly spread from my planner using a mix of stickers. For this week's spread, I went with a rainbow theme. 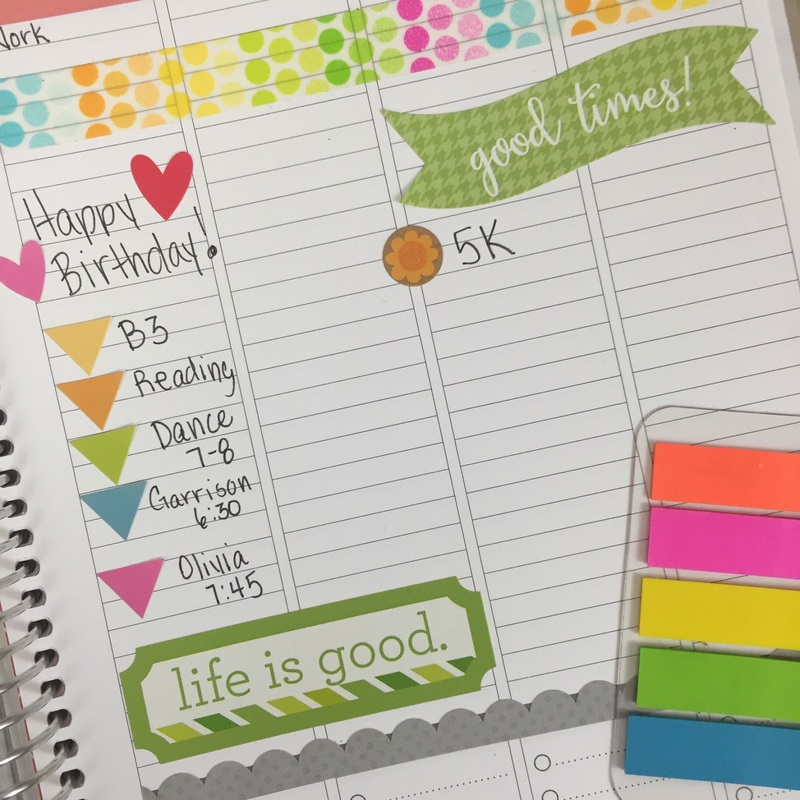 I love using washi tape to create sections in my planner. 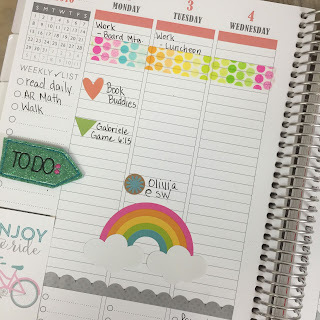 I placed a strip of Rainbow Dots washi across the week to divide my work days from the rest of my activities. I also trimmed the "enjoy the ride" card from the Spring Garden 6 x 6 pad to place in the lower left hand corner of my planner. I like to put an inspiration quote or something there. Triangles and Hearts from the This & That Stickers sheets make great bullet points to highlight various events and a rainbow sticker from the Pot O'Gold Icons stickers was perfect for filling in some empty space on the front half of my week. The second half of the week has a ton more triangles and a few banners to finish of my spread. The good times sticker is from the Spring Garden Collection. 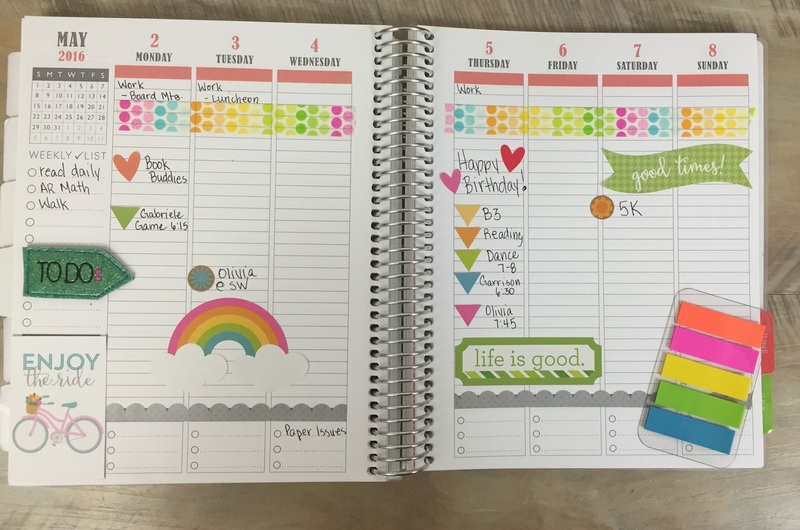 Doodlebug stickers help my planner look pretty and organized! Such a fun planner spread!!! I have to agree with you!! Life is Good!!! Especially when you use cute, adorable and colorful Doodlebug products in your planner!! Such good ideas and I just love how it looks!! Super fun! What a lovely planner page! 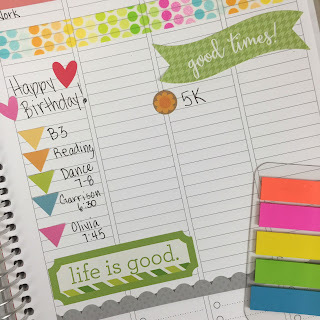 I love how you combined so many great products (washi tape, a card from the 6x6 pad, icon stickers, this and that stickers...) on your planner pages. Thanks for the wonderful inspiration!